Bradley Guy Smith graduated from Lakeland High School with Honors in 1988. He received a full athletic scholarship to attend the University of Kentucky where he was a starting quarterback during 2 seasons of SEC college football. He was also a three year academic All-SEC selection. After a successful football career, Brad was inducted into the Lakeland High School Dreadnaught Hall of Fame. Mr. Smith attended Law School at Regent University. During this time, he lived in Madrid, Spain, where he learned to speak Spanish. In 1995, he began his law practice and since that time he has exclusively represented the rights of injured workers. Currently, he handles a variety of State and Federal actions, including Motor Vehicle Accidents, Workers’ Compensation, and Federal ADA / EEOC claims. He enjoys integrating modern laws, such as ADA / EEOC, with State Workers’ Compensation laws, to comprehensively protect American Rights for his clients. He has given State-wide presentations on a variety of topics, including annual case law updates for fellow members of the Claimant’s Bar. 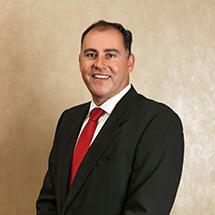 He is a Board Certified specialist in Workers’ Compensation, and a Board Member of the Florida Workers’ Advocates. He has personally tried over 750 cases, in front of over 30 Judges from Pensacola to Miami. He has been a part of over 150 appeals with significant decisions that positively impact workers around the State. In addition to his law practice, he and his wife, Nicolette Tsambis, have four children, Alex Ann, Holden, Sevianna, and Selinda. They enjoy being active in their children’s lives and participating in their growth. Mr. Smith also created the retail store, the Dollarmarket, and is a successful developer with numerous projects currently growing and underway. He has a landscape / management company that manages a variety of commercial retail centers and developments. In the past, he has been the chair for the Lakeland High School Booster Club annual golf tournament (7 years), had a BBQ cooking team in the Pig Festival of Central Florida (a Polk County Rite of Passage), and has a Christmas Float in the Lakeland Christmas Parade (receiving Best Original Float of 2016). He also participates in a variety of community events, including the Hispanic Festival in October each year, and sponsors a variety of youth organizations throughout Polk and Hillsborough Counties. His passion remains representing injured workers and finding ways to get the best medical care, working side by side people -- to protect and advance their individual best interest.